A delicious way to help you get your protein requirements both in the gym and on-the-go. Have a question about Elite Protein Bar? What is it, what does it do, how and when to use or something else? Ask us. 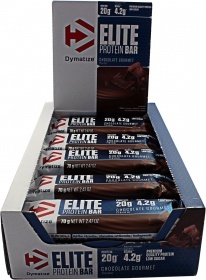 “Elite Protein Bar 15x70g” is currently out of stock. Enter your details below and we will let you know when it's back in stock.